It’s called the Eternal Triangle for a reason. 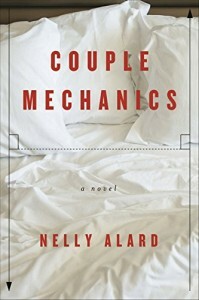 Adultery is always with us and in Alard’s cleverly gripping novel of marital infidelity it’s brought smartly up-to-date. The setting is Paris where attractive couple Olivier and Juliette have been married for ten years and have two children. He works at a newspaper, she earns more in IT and they live a comfortable middle-class life – until the day Olivier phones to tell Juliette he can’t meet her at the cinema that evening, because he’s been having an affair for three weeks and his mistress is ill.
What follows is a minute unfolding of the ramifications of this confession, essentially from the viewpoint of Juliette, an astute woman with a sexually active past, a feminist streak, a strong maternal instinct and a quick brain. Anyone who has ever had a cheating partner – or cheated themselves – will recognize the switchback ride of guilt, fury, pain, misery and indecision that ensues. Olivier must decide which way to jump; Victoire, his mistress, must decide which of her (wide) range of near-psychotic tricks she will play on the couple, in what order, to get her way. And Juliette must pick her way between her moods, her impulses, her sadness and protective responses, while holding down her job, her health and her sanity. As the title suggests, there’s an element of the dispassionate in this smartly contemporary, psychologically-shrewd novel from Alard, an established actor. There’s also wit, resignation and an absence of judgement, especially in its closing chapters. Fans of recent TV drama ‘Dr Foster’ may well enjoy it.